Memory and brain function which includes moods and the process of learning and collating acquired knowledge has been an area of interest by Neurological investigators for over 100 years. Reduced sleep has been linked to severe mood swings and has been described in some cases as bringing on emotions that are comparable to clinical depression. Johns Hopkins University researchers recently compared emotional responses of patient who had interrupted seep and shortened sleep times with normal sleepers. Patrick Finan, the study’s lead author and an assistant professor of psychiatry and behavioral sciences at the School of Medicine, says the study also suggests that the effects of interrupted sleep on positive mood can be cumulative, since the group differences emerged after the second night and continued the day after the third night of the study. It is not uncommon to experience a poor night of sleep. It is important to note that a poor night of sleep for one person is not necessarily a poor night of sleep for the next person. It is the difference between a normal night of sleep and tonights sleep that is in fact the data point to be monitored. What is insomnia, Obstructive Sleep Apnea, Bruxism or Snoring and how do they affect my sleep patterns night to night. Insomnia is most often thought of as both a medical sign and a symptom that can accompany several sleep, medical, and psychiatric disorders characterized by a persistent difficulty falling asleep and/or staying asleep or sleep of poor quality. Insomnia is typically followed by functional impairment while awake. Insomnia can occur at any age, but it is particularly common in the elderly. Insomnia can be short term (up to three weeks) or long term (above 3–4 weeks); it can lead to memory problems, depression, irritability and an increased risk of heart disease and automobile related accidents. One of the most common sleep disorders is obstructive sleep apnea, which is associated with a history of loud snoring and daytime sleepiness. According to a 2009 U.S. Centers for Disease Control and Prevention (CDC) report that surveyed close to 75,000 individuals, 48 percent of respondents reported snoring. 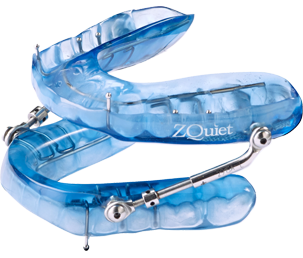 Oral Appliance therapy is the preferred treatment for Obstructive sleep apnea when the condition is mild to moderate. In cases where the condition is severe then CPAP is indicated and is a much more invasive therapy. Another condition related to disrupted sleep patterns is restless leg syndrome, which causes the body to make jerking movements throughout the night. Recent discussions have linked sleep bruxism with some of the same impulses as restless leg syndrome. In order to test your sleep bruxism it is often required to have a home sleep test to evaluate your bruxism episode index (BEI). 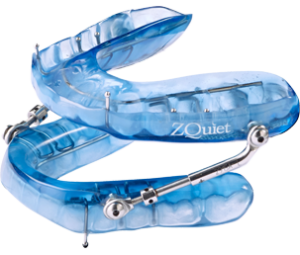 Your Dentist or your sleep physician may ask you to consider wearing an oral appliance to protect your teeth or to manage the tone of your airway making it easier for you to sleep and protecting your dentition. Eat a high-glycemic-index carbohydrate snack at night; in a 2007 study in theAmerican Journal of Clinical Nutrition, such snacks were found to increase tryptophan, an amino acid that enhances sleep onset. Talk to your Dentist about your sleep and make sure the Dental Hygienist evaluates your risk of sleep bruxism. If you Brux do you know your BEI? Make your bedroom as dark and quiet as possible. Turn off your smartphone, and avoid using electronic devicesclose to bedtime. Try to wake at the same time every morning to help reinforce your circadian rhythm. Exposure to early morning light upon waking can also help. The importance of healthy sleep patterns is essential to optimizing health there is no better medical team to evaluate your healthy sleep patterns than your dentist . Inadequate sleep contributes to a multitude of health issues, including diminished immune response, depression, and decreased happiness and overall well-being, don’t let bad sleep affect your health Getting a good night’s rest, combined with healthy eating and daily physical activity, is the foundation of good health and a great mental attitude.